Yanggu gulanyin ngalawiri, dhunayi, Ngunawal dhawra. Wanggarra lijinyin mariny bulan bugarabang. I rise today to deliver the 2016 Closing the Gap statement. I pay my deep respects to the Aboriginal and Torres Strait Islander custodians who have cared for this country and to their elders who continue to hold the knowledge of their rich and diverse cultures. 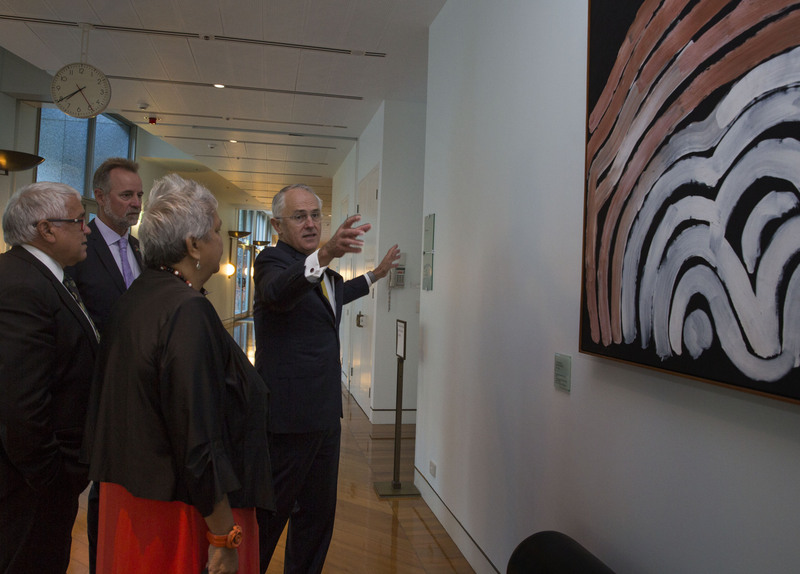 For more than 40,000 years Aboriginal and Torres Strait Islander people have cared for this country. Theirs are the oldest continuing cultures on earth. Our nation is as old as humanity itself. The stories of the Dreamtime, the rock carvings on the Burrup Peninsula, these speak to us from thousands of years, so far away, time out of mind, linked by the imagination, the humanity of our first Australians. Yet we have not always shown you, our First Australians, the respect you deserve. But despite the injustices and the trauma, you and your families have shown the greatest tenacity and resilience. Recently, I visited the Aboriginal community at La Perouse in Sydney - their ancestors have watched over Botany Bay for time out of mind. Their families saw Cook and saw Philip and today they watch A380s land at Mascot and container ships dock at Port Botany. They live on their lands, as their ancestors have done, in the heart of our largest city, and I heard of the hardship and injustice from policies past, but Mr Speaker, I was inspired by their optimism and resilience and their determination to succeed. That determination is reflected in the report tabled here today, although we too often talk about percentages and not enough about people. The Closing the Gap challenge is often described as a problem to be solved - but more than anything it is an opportunity. If our greatest assets are our people, if our richest capital is our human capital, then the opportunity to empower the imagination, the enterprise, the wisdom and the full potential of our First Australians is an exciting one. And when we focus on the gap to be closed and ending the disadvantage that entails, we should not overlook or fail to celebrate the many successes of Aboriginal and Torres Strait Islander people. Aboriginal and Torres Strait Islander Australians are studying at Universities at home and abroad, at Oxford and Harvard, are completing medicine degrees and apprenticeships, are sending their children to school, buying homes, starting and running businesses, and have dreams for the future that are as optimistic and as different as the rest of us. You are our neighbours; our peers; our colleagues; our fellow teammates on the sporting field; Parliamentarians like the Member for Hasluck, Ken Wyatt, and Senators Joanna Lindgren, Nova Peris and Jacquie Lambie, whom I acknowledge in the chamber today. The headline statistics in today’s report do not recognise the diversity that exists in your culture, language and experiences which differ across the nation, from the cities to remote Australia, in every State and Territory. When the first Aboriginal Member of Parliament, Senator Neville Bonner, gave his first speech in 1971, he said this: "all persons who desire to be so classified, regardless of hue of skin, and who have flowing in their veins any portion, however small, of Aboriginal or Torres Strait Island blood, are Indigenous people”. A person's right to shape their own identity, and for that identity to be respected, is central to the wellbeing of all people. And yet for decades, Aboriginality and skin colour had been used to control the lives of Indigenous people and diminish their value in society. This must be no longer. 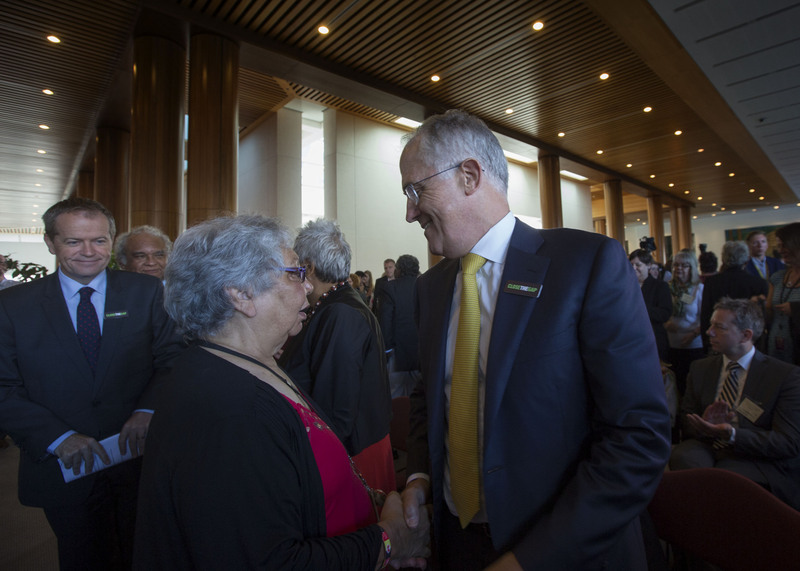 In 2008, the National Apology to the Stolen Generations was a great milestone in the healing of our nation. It was a long overdue acknowledgement of grief, and the suffering and the loss inflicted on generations of Aboriginal and Torres Strait Islander people. We all recognise that healing takes time. And our generation seeks to make a further amends, a further setting right, through formal recognition of Aboriginal and Torres Strait Islander people in our Constitution. Our nation’s founding document should reflect Australia as it is, not how it was perceived 120 years ago. We recognise and value Aboriginal and Torres Strait Islander culture and peoples, and we are proud that their history is our history. Their culture is our culture. Their values are our values. We recognise that prior to the arrival of European settlers, Aboriginal and Torres Strait Islander Australians spoke hundreds of languages and over 600 dialects. These words carried knowledge. Tragically, many of these languages have been lost and many are critically endangered. That is why today, we are announcing $20 million in additional funding over two years for the Australian Institute of Aboriginal and Torres Strait Islander Studies (AIATSIS). This will enable the collection of critical cultural knowledge, and promote an understanding of Aboriginal and Torres Strait Islander cultures, traditions, languages and stories, past and present. 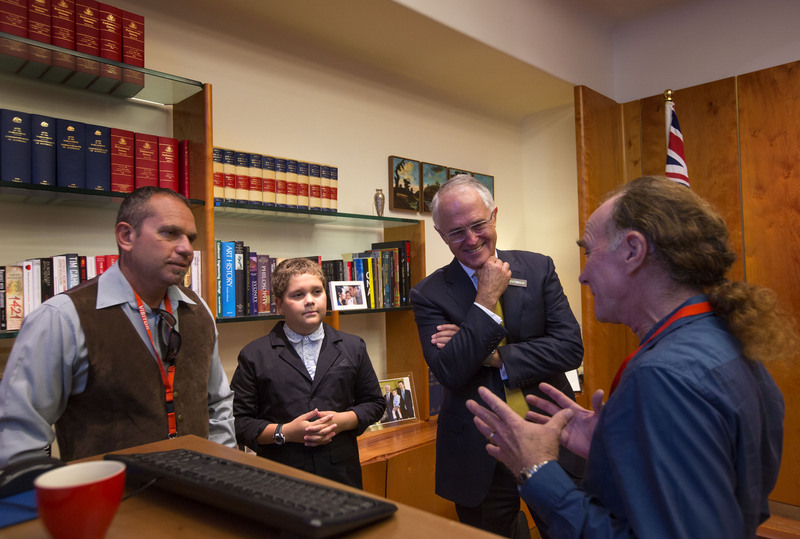 It will keep safe this knowledge for all Australians by digitising and protecting it from being lost. Firstly, acknowledge, embrace and celebrate the humanity of Indigenous Australians. Secondly, bring us policy approaches that nurture hope and optimism rather than entrench despair. And lastly, do things with us, not to us. Do things with us, not to us. When the first Closing the Gap report was tabled in 2009, as the Leader of the Opposition, I delivered a statement to the Parliament. I affirmed the Coalition’s commitment to deliver a new future, with hope and opportunity for all, to Indigenous Australians. Today, as Prime Minister I stand by the intent of that commitment. However, I will honour that commitment not by delivering to Indigenous Australians, but by working with Aboriginal and Torres Strait Islander leaders and their communities across Australia. There is great wisdom in what Chris Sarra said. Do things with us not to us. That is why this Government committed late last year, as a first step, to implement a regional empowerment model to eight communities, and other communities who are seeking a place-based approach. To build autonomy and independence, our task must be to engage with Aboriginal and Torres Strait Islander Australians in a partnership that is based on mutual respect. Constitutional Recognition of our First Australians provides us with an opportunity to implement those three strategies. Were Australians to vote to amend our Constitution to acknowledge the humanity and the history of our continent’s first inhabitants and do so in language that is meaningful to Aboriginal and Torres Strait Islander people and to all Australians, then it would be an important step towards true reconciliation – one that nurtures hope and optimism. And it would be done together, not done to or done for. The terms of any amendment will need the endorsement of a majority of all Australians and a majority of States to successfully amend the Constitution, but it will need the support of our First Australians to be proposed at all. In the eight years since the Closing the Gap targets were set, there has been mixed progress towards meeting them, and today again we are seeing mixed results. The target to halve the gap in child mortality by 2018 is on track. Between 1998 and 2014 Indigenous child death rates declined by 33 per cent and the gap narrowed by 34 per cent. While Indigenous mortality rates have declined since 1998, the life expectancy gap is still around 10 years – an unacceptably wide gap, and this target is not on track to be met by 2031. The original early childhood education target expired in December 2013 and was unmet. As such, the renewed target aims to achieve 95 per cent preschool enrolment for all Indigenous four year olds by 2025. The reading and numeracy target has had mixed results – with four of the eight measurement points for students achieving national minimum reading and numeracy standards being on track. Closing the gap in education is achievable. For example, for Year 3 reading target to be met, we need 640 additional Indigenous students to be reading at the national minimum standard to meet that target. Surely we can achieve that. A new target to close the gap in school attendance by the end of 2018 has seen little change in the attendance rates for Indigenous students in 2015, and the gap remains sizeable. However, data tells us on a given school day the vast majority of Aboriginal and Torres Strait Islander students are attending school. We are seeing more young people staying at school, placing the target to halve the gap in Year 12 attainment by 2020 on track. More Indigenous young people are finishing high school, and more and more of those young people are enrolling in tertiary education. The past decade has seen a seventy per cent increase in the number of Indigenous students in higher education. Those young people of today will grow up to be our future Indigenous leaders. As in previous years, the target to halve the gap in employment by 2018 is not on track. However, I am optimistic that factors such as gains in Indigenous education, economic growth and strong Indigenous businesses will have a positive impact on these results in coming years. Now the Prime Minister of the day tables the Closing the Gap report as a report card of our nation, on our combined efforts. This shared responsibility falls to each and every single Australian, Indigenous and non-Indigenous, every level of government and every business and organisation. With each report we have an opportunity to assess where we must redouble our efforts and derive better value from the admittedly finite resources of government. State and Territory governments are necessary partners and between this year’s report and the next I will work to ensure we are better tracking progress across the jurisdictions so we can target our efforts and accelerate outcomes. The key driver of progress has to be economic empowerment through employment, through entrepreneurship and through the use of our human capital. Forty years after Gough Whitlam poured dirt into the hands of Vincent Lingiari, we continue to ensure hard fought Indigenous land rights are protected, while enabling those rights to be converted into economic opportunities. Last year we saw Indigenous leaders come together at the Growing with Governance Forum to develop the Indigenous Investment Principles. In the year ahead, working closely with Indigenous Australians and state and territory governments, we will implement the recommendations from COAG's investigation into land use to better enable Indigenous land owners and native title holders to use their land for economic development. We are starting to see some returns on reform we have undertaken in employment policy – our employment programmes under the Indigenous Advancement Strategy is assisting around 50 Indigenous Australians into a job every day. But beyond direct employment, Mr Speaker, it won’t come as a surprise that I am committing to create more opportunities for Indigenous businesses, to encourage Indigenous innovation, which we know in turn creates a pipeline of opportunity. We know Indigenous businesses are one hundred times more likely to hire Indigenous people, so supporting Indigenous enterprise is also a way to boost employment. And I’d encourage all Honourable Members, wherever they can to celebrate and promote Indigenous businesses in their own electorates. Last night I hosted a function here in Parliament House, for young Indigenous entrepreneurs. I wanted to celebrate the incredible talent among Indigenous Australians who every day are making a contribution to their families, to the economy, to society and to our nation. I want us, as a nation, to tell the rich story of Indigenous creativity, of innovation and entrepreneurship. Now while we should celebrate the successes, we cannot sugar-coat the enormity of the job that remains. We do face very real and difficult challenges, particularly in isolated communities. We must be honest about the catastrophe and violence created by drug and alcohol misuse and confront, and respond, to the cries of help, particularly from women and children. Indigenous Australians represent 3 per cent of the Australian population yet they represent a staggering 27 per cent of the prisoner population. The Indigenous adult imprisonment rate is increasing. When young Aboriginal and Torres Strait Islander men see jail as a rite of passage, we have failed to give them a place in society, in our community, and an alternative pathway where they can thrive. There is a vicious cycle of young Indigenous people being placed into prison, reoffending and then returning to prison. We know the power of employment, the power of a job, as a circuit breaker in that dreadful cycle. The Minister Nigel Scullion, Senator Scullion and Senator Cash, the Minister for Employment, are working across jurisdictions and portfolios, working with the Aboriginal and Torres Strait Islander communities to develop a blueprint for supporting, and then transitioning, people from prison to work, to security and prosperity. We have to stay the course on key policy priorities: the transformative power of education, the fulfilment that comes from employment, the right of all people to be safe and free from family and domestic violence, especially women and children. While delivering on these priorities we must be innovative in creating effective solutions, in partnership with the community, to address those challenges. We have to be agile, and we have to allow for new approaches – this will enable us to continue to build the evidence base where it doesn’t yet exist. It is equally important we listen to Aboriginal and Torres Strait Islander people when they tell us what is working and what needs to change. It’s our role as government to provide an environment that enables Indigenous leaders to develop local solutions. Again, Mr Speaker, it is time for Governments to ‘do things with aboriginal people, not do things to them’. Now, we are the most successful multicultural society in the world. The glue that holds us together is mutual respect – a deep recognition that each of us is entitled to the same respect, the same dignity, the same opportunities. 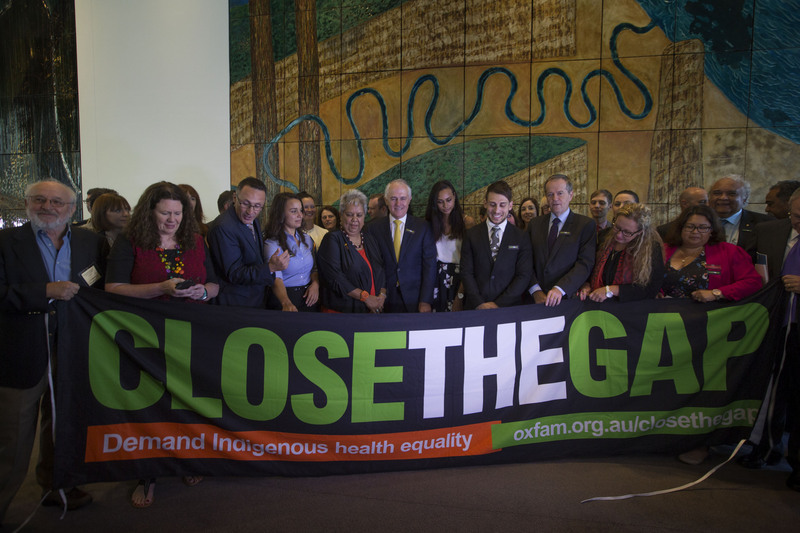 Closing the Gap is more than another government indigenous policy. It speaks to all of us and it speaks about all of us – it is our best selves, our deep, just, fair values given practical form. When we close the gap we make ourselves more whole, more complete – more Australian.